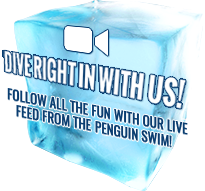 Tune in for all the action, happening LIVE from the Penguin Swim! Livestream will be active and available for viewing on event day. Visit Atlantic General Hospital’s Penguin Swim Facebook page to view LIVE event day coverage.